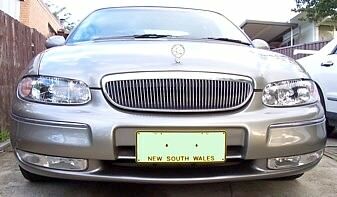 Discussion in 'VT - VX Holden Commodore (1997 - 2002)' started by Wong, Jul 25, 2006. Heaps of them on ebay if your not in a big hurry. Otherwise shop around at a few locksmiths.Don't forget, you need to get them programmed. Give Rockdale locksmiths a call. They also sell them on eBay and can do the programing for you. i looked into getting one from ebay but didn't know how much it costs to program it - any help here? i live in sydney. At my local holden dealer it is $44 to program, but it always pays to shop around as prices vary. but it always pays to shop around as prices vary. Brumbies 5L Dont Gossip, Just Torque! Mate your in the St George area give Rockdale locksmiths a call. Thats crazy. I got mine from a Holden dealer. Cost me about $100 for a key head, programming and a new key blank. I also need one for a VTII. Only got 1 key when I brought it a few weeks back. Local GMH dealer today quoted $135 for the key, head and programing. But then again, most things are more expensive here so no doubt a bit cheaper in Sydney. The cheapest i've heard is $80 for the above by Northside Locksmiths (in Brisbane). Also, not all Mr Minits can program them. Some don't have the equipment but can still cut them. That was a Holden dealer!!! Cost of key head from ebay $31. Cost of getting reprogrammed at rockdale locksmiths $25. Not giving Holden dealership $140 for the same???? Rockdale locksmiths are currently selling them on eBay if anyone is interested. Got it done for my VX for $125 at a Holden dealer. Might be pricey but just like the fact I have some sort of guarantee if something goes wrong. I was told $125 including the key, cutting and programming by metrol holden in adelaide.